We’re sure you’re all well aware but as MUAs you’re often faced with a lot of complications during jobs. Whether it’s a tricky location, an unfortunate incident occurring or a difficult client, a straight-forward job can unravel to become a real headache. Your bridal client decided to have an extreme facial the day before? A model tripped and fell, leaving an unsightly bruise that needs covering? An actor spent the weekend sunbathing and ruined your continuity efforts with sunburn? We’ve got you covered – in these cases, it’s good to keep some fast-acting skin-saviours on hand to help you create a perfected look. 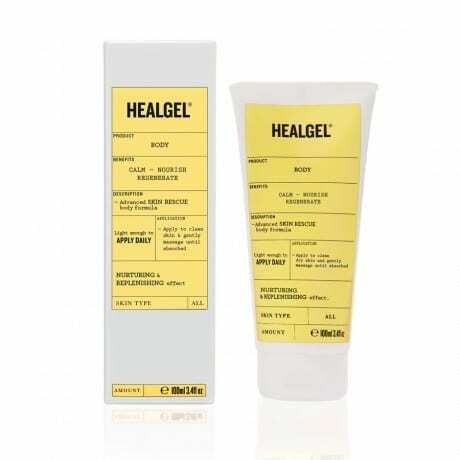 To help speed up the recovery of bites, burns or bruises, something like HealGel Body (£39.50) is a good cure-all. The lightweight formula has been designed to leave skin feeling soft, supple and nourished, making skin less likely to scar. Potent arnica and madecassoside help reduce skin irritation and calm redness, and it leaves a smooth base for make-up. 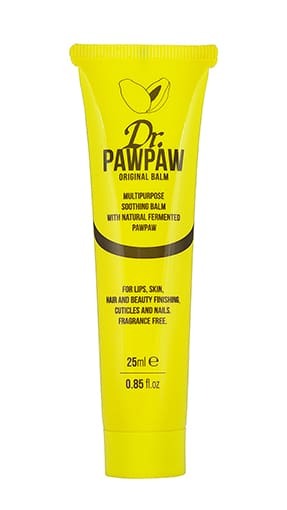 A similar soothing product would be Dr PawPaw (£6.95) – we’re a big fan of the handy 25ml tubes. There are plenty of redness-relieving products on the market, but two of our favourites come from dermatologist ranges. 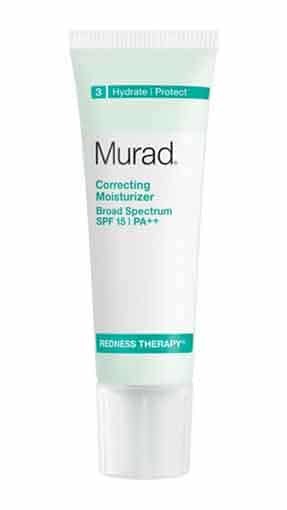 Murad Redness Therapy Correcting Moisturiser SPF15 (£37) is hydrating enough to relieve any tightness, while cooling skin with Peppermint Leaf Extract encourages the flushed capillaries to constrict, reducing blood flow and redness. The slight colour tint helps to counteract any residual redness and works quickly. 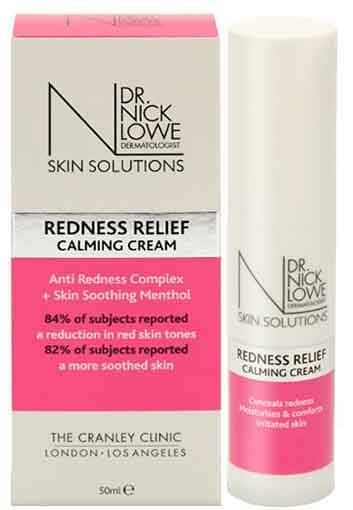 Another option is Dr Nick Lowe Skin Solutions Redness Relief Calming Cream (£6.49), which leaves a lovely smooth canvas for make-up as well as helping to calm redness. Win-win! If you’re tackling severely dry or dehydrated skin, you’ll need to pull out the big guns – either use a fast-acting mask (we’re still yet to try anything better than Sisley’s Black Rose Cream mask) such as a sheet mask, or even an oil. Embryolisse (£12.99) has become a firm MUA favourite with good reason – a reassuringly thick and moisturising cream which sinks in easily, it has a multitude of uses. It does contain mineral oil though, which can cause reactions with some skins. Another excellent skin-prepper is the award-winning SteamCream (£13.95); each ingredient in this do-all moisturiser has been selected for its soothing, calming and toning properties for sensitive skin. And because of its fresh, steam-bound texture it uses a minimum amount of preservatives which might irritate skin. So what about actual make-up? Every artist, in our opinion, should keep a colour correcting palette in their kit to help deal with a plethora of skin complaints – dullness, discolouration, uneven tone. 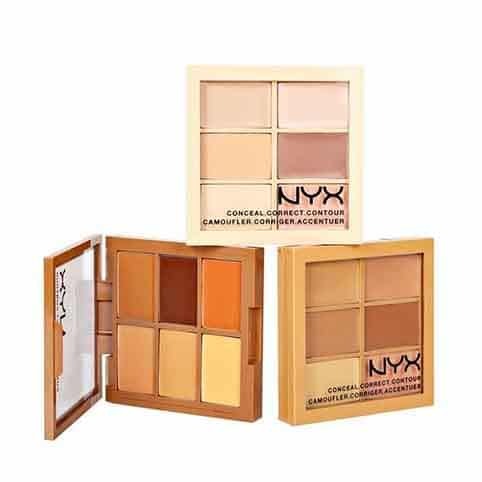 NYX have a very handy and affordable Conceal, Correct, Contour Palette (£10) with six shades, available for light, medium and dark tones, which include peaches, yellows and concealing shades. For something with more universal appeal, choose a palette with more varied colours – purples, yellows, greens etc – in order to fully correct every skin tone. We like the intensely pigmented 5 Camouflage Cream Palettes from Make Up For Ever (£26) because a little goes a long way, making these highly portable palettes a good investment. 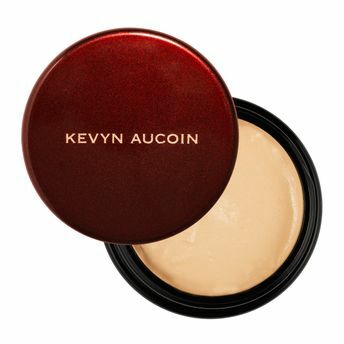 For a cover-all pigment, we would instantly reach for the Kevyn Aucoin Sensual Skin Enhancers (£38). Yes, they’re tiny pots and they’re not exactly cheap, but as anyone who has tried these pots of magic can attest, you only need the tiniest amount. We know MUAs who rely on these almost singularly, as they can be sheered out and mixed with other products, or act like a heavy-duty, flexible concealer when you need it. 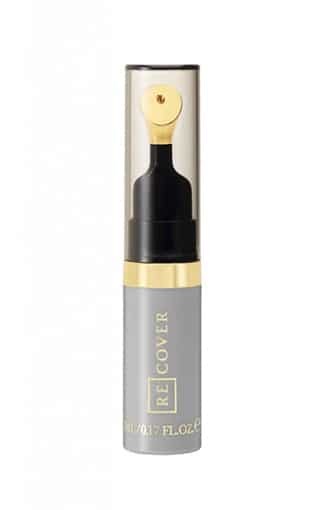 We’ve also been impressed with our samples of brand new ReCover Concealer (£28), created by MUA Annabel Jardella who suffers from reddened skin herself. Using her 25 years of knowledge in skin tones and colour pigments, she set out to create a concealer which combines neutralising colour pigments and a lightweight texture. 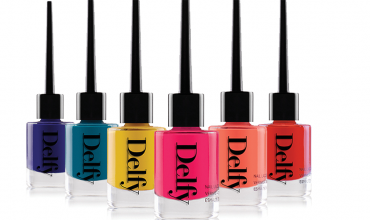 It is launching properly any day now, but in the meantime you can sign up for a free sample in the shade of your choice here. Youngblood Cosmetics is an entire brand built around catering for traumatised skin – whether it be rosacea or acne, post-surgery sensitivity, scarring or other skin damage, this mineral-based brand aims to cover and calm all of it. 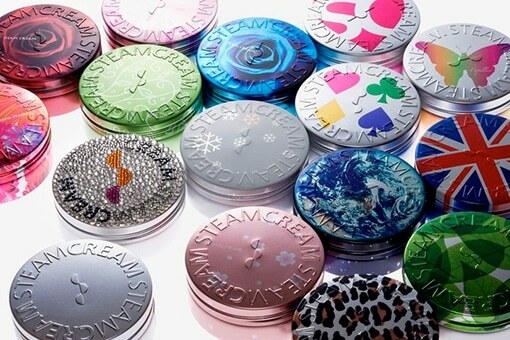 Their products are paraben-, oil-, talc-, fragrance- and cruelty-free, and their packaging is made up of recycled materials. Thankfully the products are as effective as they are well-intentioned. With a comprehensive range including base, eyes and lips, we thought we would pick out a couple of our favourites. 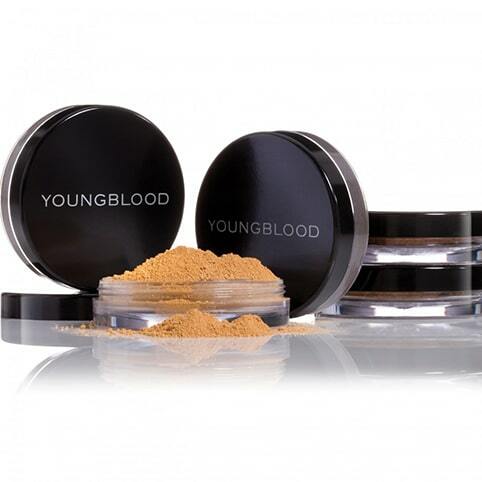 The Youngblood Loose Mineral Foundation (£34) is one of the brand’s biggest sellers, and it’s not difficult to see why. An excellent range of shades, from Pearl to Mahogany, coupled with a silky-smooth and ultra-fine feel, the real bonus is the softly luminescent look this foundation gives, without containing any glitter or shimmer particles. Skin is left evenly covered, breathable and glowing. Speaking of shades, the Youngblood Luminous Crème Blush (£24) comes in some really interesting colours – we like the skin-perking Tropical Glow and bold Plum Satin – and offers a luminous, buildable flush to help inject some life back into tired skin. 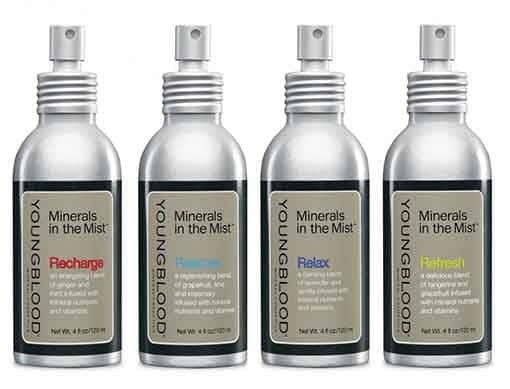 We also love the Youngblood Minerals in the Mist (£20), lightweight facial mists infused with pure essential oils and vitamins to protect and hydrate skin. Use them after cleansing to lock in moisture and after make-up application to set foundation. The four scented options can help set the tone for you and your client, such as calming Relax (lavender, vanilla) or peppy Refresh (grapefruit, tangerine). Airbrush make-up can be another useful tool when dealing with aggravated skin, especially if you’re having to cover large areas. You can find our recent Airbrush feature here, and don’t forget to check out Airbase’s brilliant course offer here. Last, but certainly not least, for the most serious in skin concerns – scarring, damage, covering tattoos etc – you need a specialised set of products. Kryolan’s Dermacolour range is used by MUAs and civilians alike to cover just about everything you could think of. Waterproof, long-lasting and with a variety of textures and tones to choose from, the range has everything you could need. Vichy’s Dermablend are another option, offering compact, liquid and stick forms of their intensely pigmented formulas. Both brands can be used on both the face and body, and once set with their magical powders you can trust them to have your back, leaving you to proceed with the rest of the make-up.